When I interviewed this woman her energy filled the room. A quiet confidence in the form of a smile introduced her before she even said hello. I discovered her while watching the 6 o'clock news. She was being interviewed about her selfless activism for the Flint Water Crisis while standing in front of a giant wall of bottled water that she was going to deliver to Flint. I was amazed at the speed in which she had organized her philanthropic effort towards this tragedy because she is a highly successful and very busy Real Estate Agent. 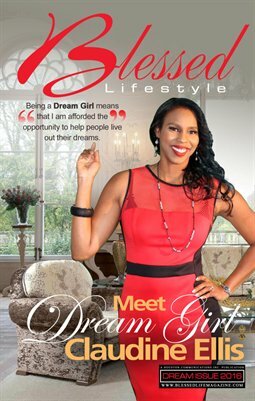 Blessed Lifestyle readers allow me to introduce you to a phenomenal woman: Wife, Mother, Activist, Mentor, Entrepreneur and Christian...Claudine Latouche Ellis.